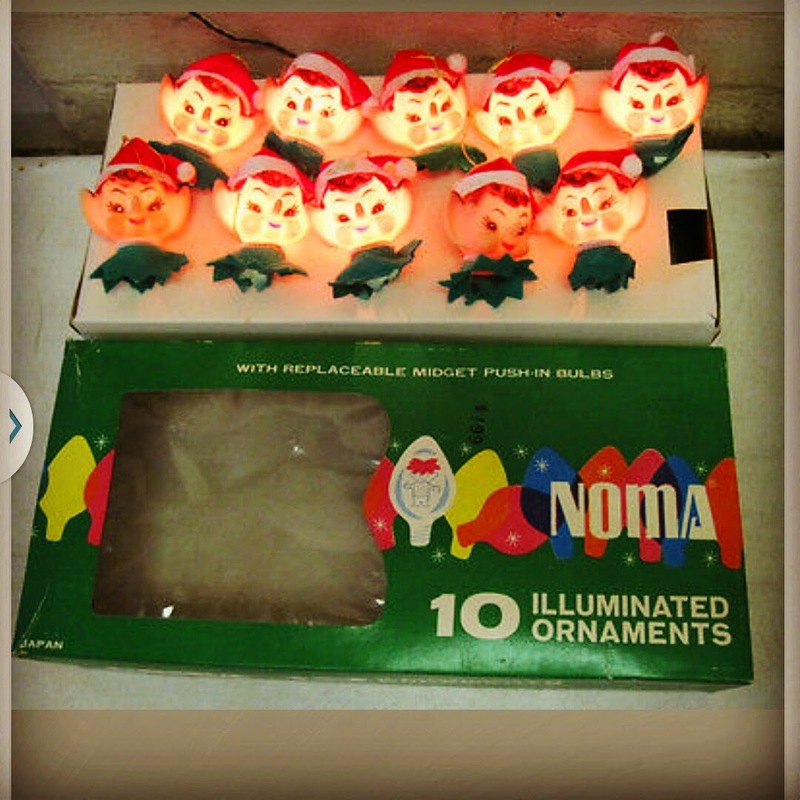 I did get to cross this great set of Noma elf lights off my want list... for less than $20 shipped on eBay (great online price!). I am sure when I pick them up in November, I am going to want a few more sets. I'd like to invite everyone to link up below with their latest finds & hope my fellow Canadians who celebrated Thanksgiving this weekend used some vintage Pyrex! Oh. My. Goodness. Those elf lights are fantastic!! I can just imagine an entire Christmas tree filled with elves. It won't be long before I can dig out all my Christmas pretties- squeeee! Those lights! I didn't even know they existed. Another thing to add to my list! Love those Noma lights! I got to a yard sale a couple weeks ago to see a guy carrying away a huge cardboard box of the standard Christmas lights...I wanted to cry. Love the elf lights! Didn't even know those were made! Now I'm wanting them soooooooo much! Thanks for hosting! I love those lights! I have never seen them before. Have a great week! I found a bunch of the elf heads last year, with holes in the bottom, so they must have been lights!